The 5 star luxury hotel & resort complex, Beau Rivage Nha Trang- where converge all of luxury elements, sophisticated lifestyle creating a different experience for customers. The project includes one hotel tower, one condotel tower, shopping and entertainment center, satisfying almost the needs of enjoyment and relaxation of the customers. Tropical Nha Trang Company Limited. Commercial and entertainment complex and 5 -star condo hotel. 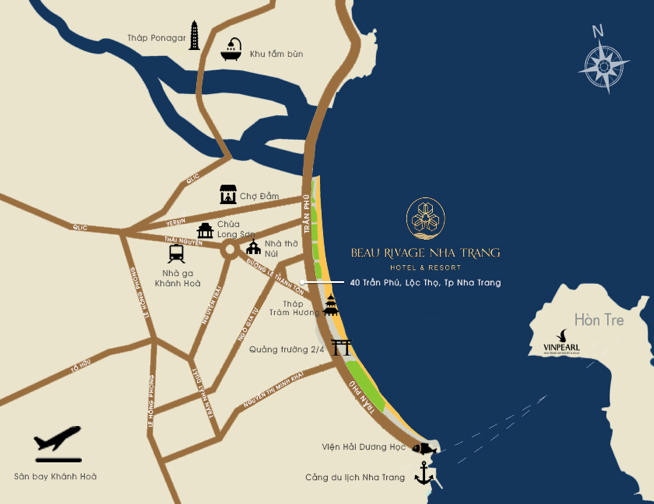 In addition, this is the last remaining project on Tran Phu street, therefore the price of Beau Rivage will rapidly increase – “gold guarantee” for investment decisions of customers. Nha Trang Tropical Limited Company (Tropicana Nha Trang) is the successful joint venture of two firms: Toan Hai Nam Development and Investment Co., Ltd and Khanh Hoa Tourism Company. Tropicana Nha Trang was merged on April 20th, 2012 according to business license number 4201469800 issued by Khanh Hoa Department of Planning and Investment. On December 18th 2012, Tropicana Nha Trang was granted the certificate of investment and development by the People’s Committee of Khanh Hoa province with the charter capital up to 200 million USD. Founded in 1981, Wyndham Worldwide is one of the largest global managing hotel and tourism corporation. Wyndham Worldwide owns several prestigious hotel brands, a holiday exchange system with more than 3.7 million members and 915,000 vacation owners worldwide. As of December 31th 2012, Wyndham Worldwide has 8,400 hotels and resorts, over 728,200 rooms and over 79 countries on six continents. 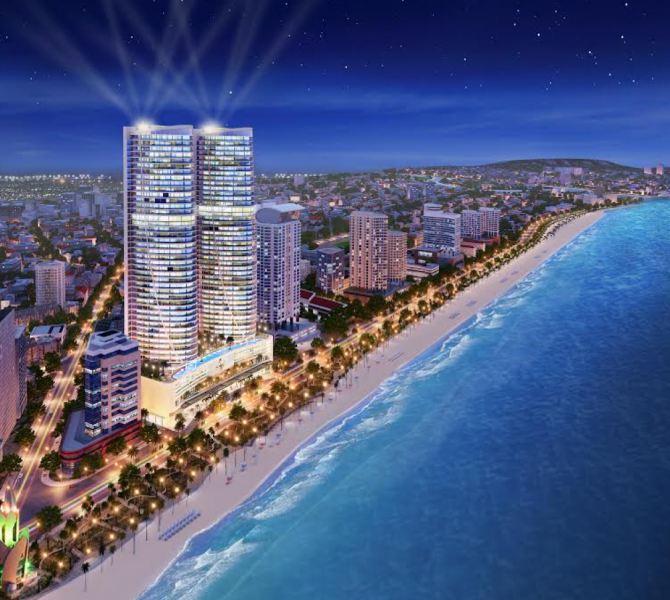 Wyndham Worldwide officially signed with Tropicana Nha Trang to take on the role of managing and operating the Beau Rivage Nha Trang project. This is the first project this unit signed cooperation and management in Nha Trang.